We made it! 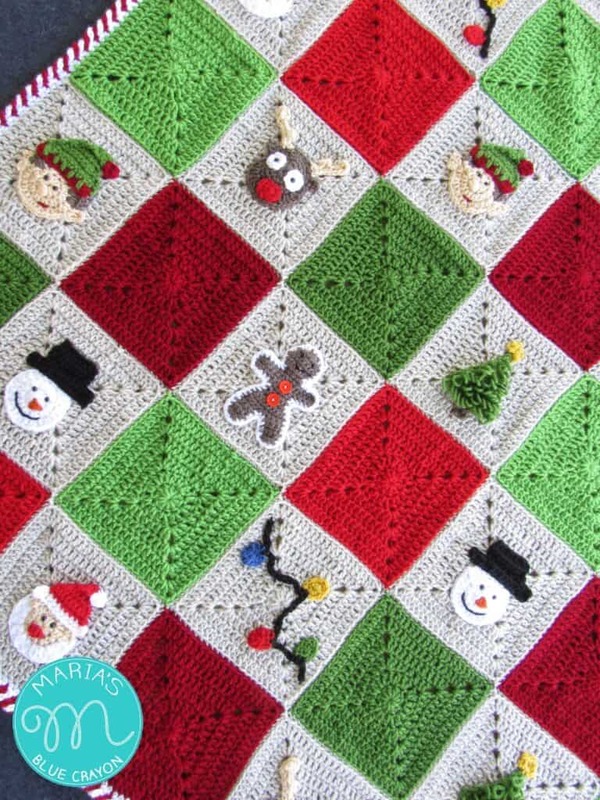 It’s the last and final week of the Christmas Granny Afghan crochet along! Having so many join along on this project was pretty surreal for me. This is something I never did before and now I can’t wait to do more crochet along projects! It’s so fun to see everyone’s variations. Huge thank you to everyone in my Facebook group for being so kind, encouraging, supporting, and overall an amazing group of crochet friends! This last week we will be putting all the pieces together. We will be joining the squares and adding a border. 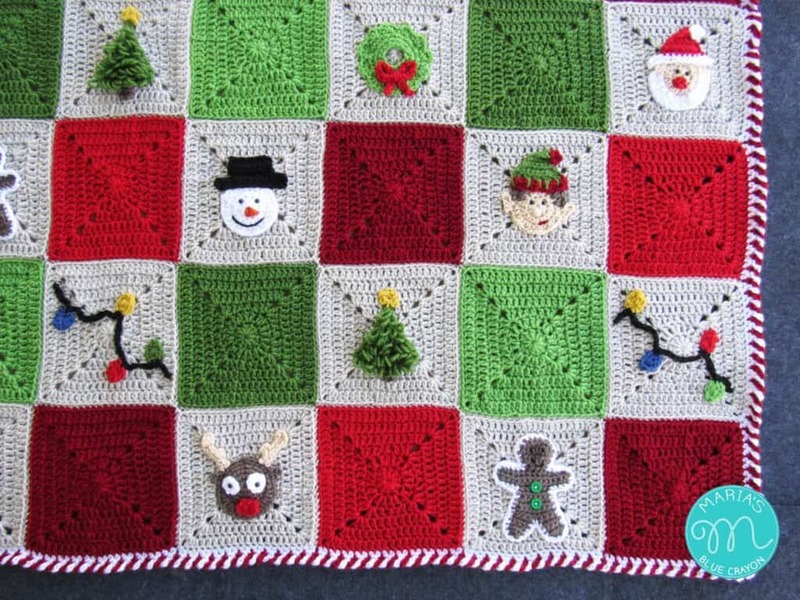 You can join your squares how ever you feel comfortable joining them if you are experienced with joining granny squares. I have chosen to join my squares by single crocheting them together with the Linen colored yarn. Instead of doing a traditional single crochet join, I do mine a bit different. I don’t go through all loops when making the single crochet, I only insert my hook through the outer loops of the squares I’m joining . You can find the full photo tutorial plus video on how I joined them here. As far as the layout, you may organize the squares how ever you prefer. 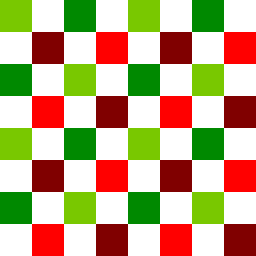 I have made a small chart below of how I laid out my squares. You can see the picture below the chart of how I laid out the characters. 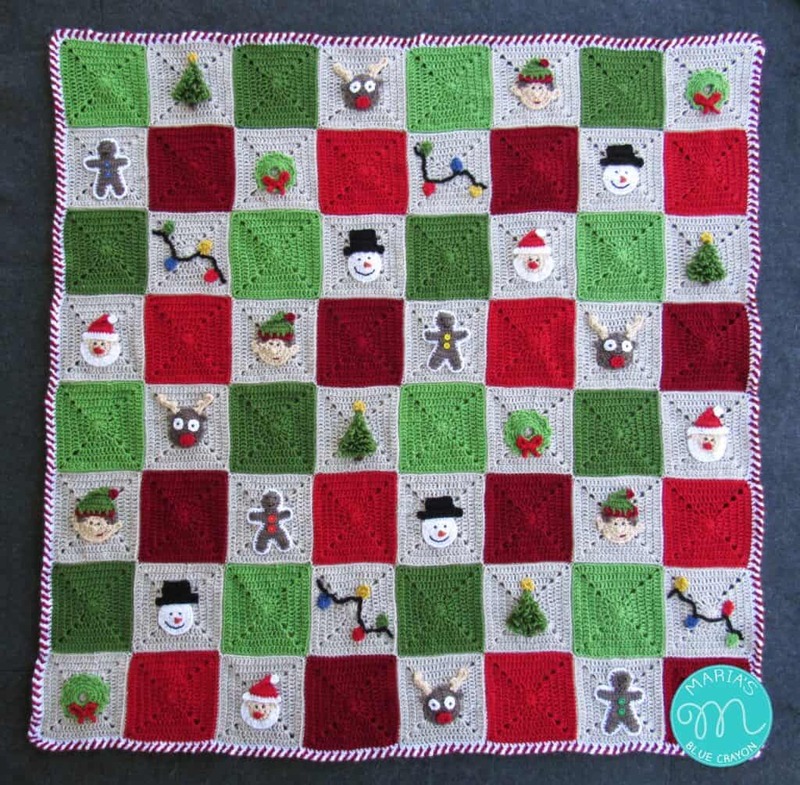 For the border, I made a candy cane striped border with cranberry and white. You can find the full tutorial for that here. Sorry, I forgot to check the notify me box which I will do with this post. Oh, I am on here with a different e-mail than I want to be notified with. Use bburkhardt1 at wowway.com Thanks! Sorry, I see the picture now. I guess the page had not fully loaded.